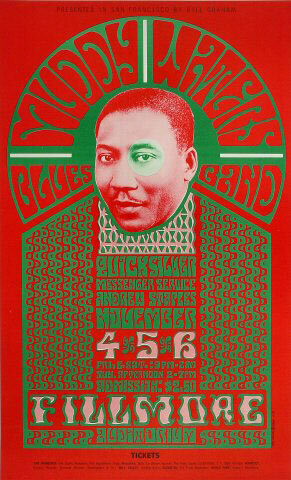 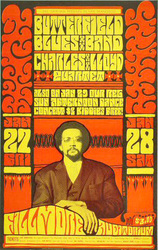 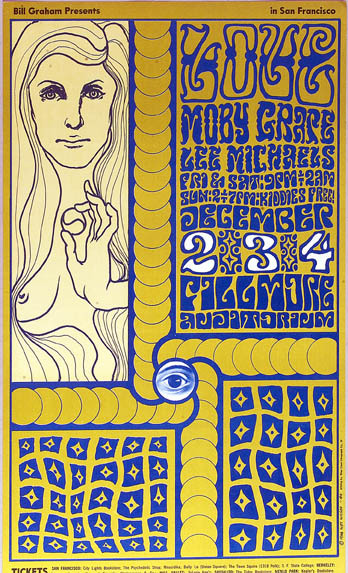 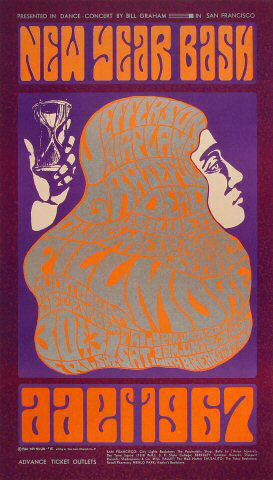 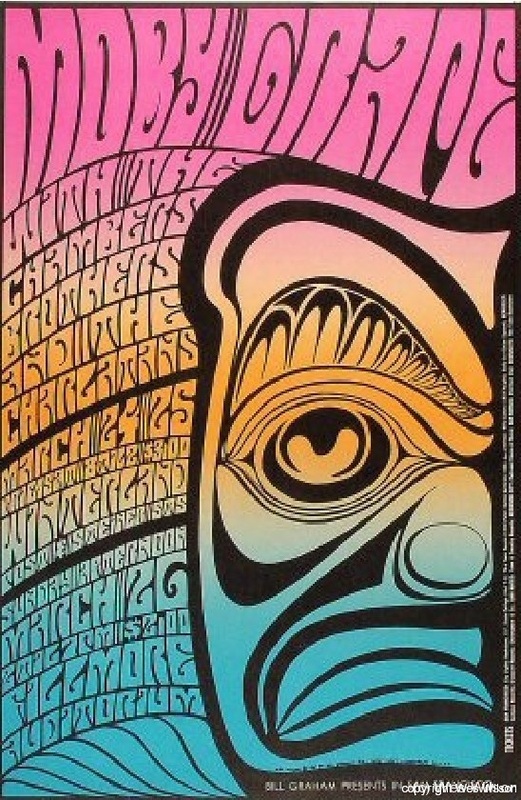 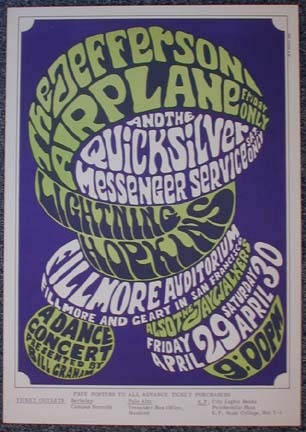 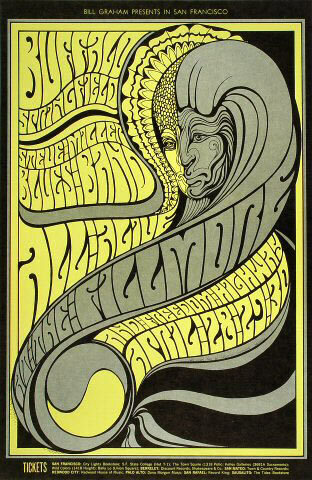 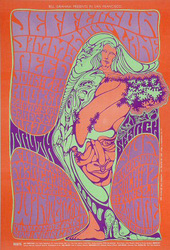 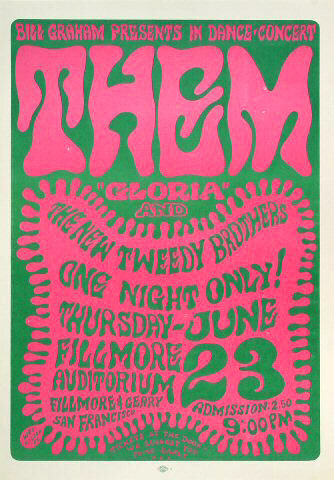 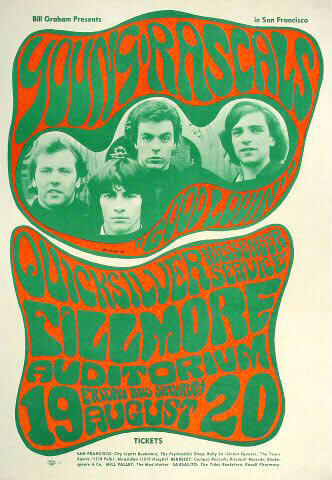 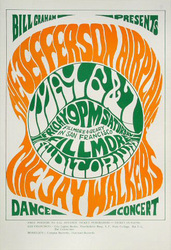 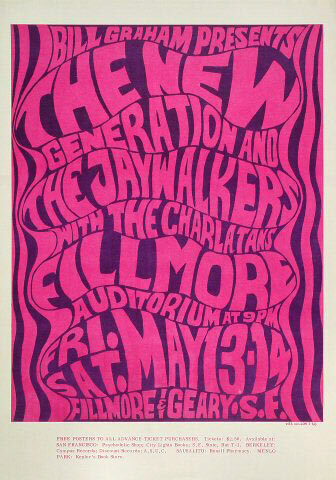 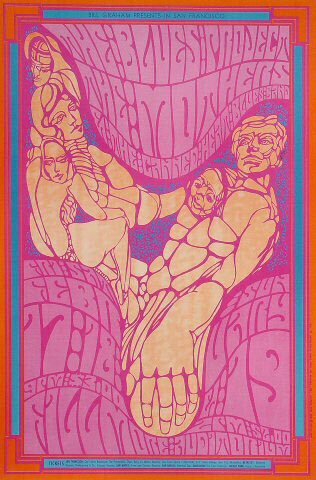 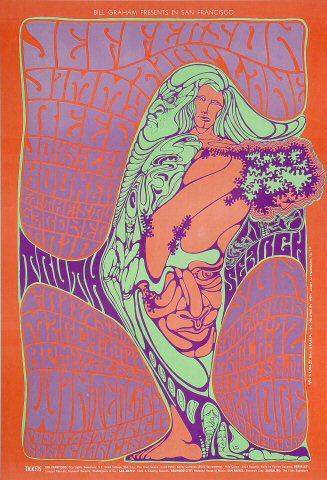 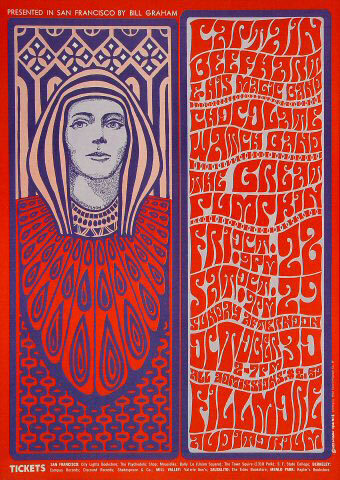 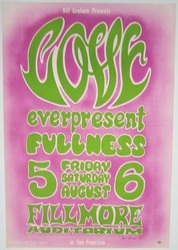 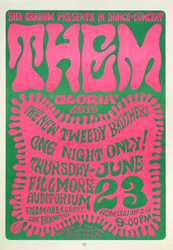 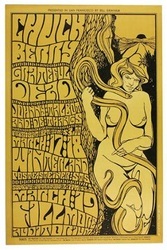 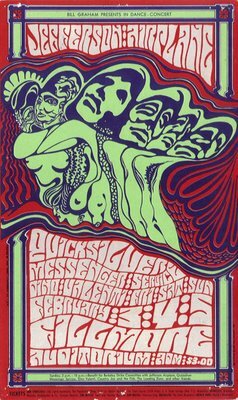 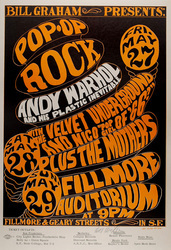 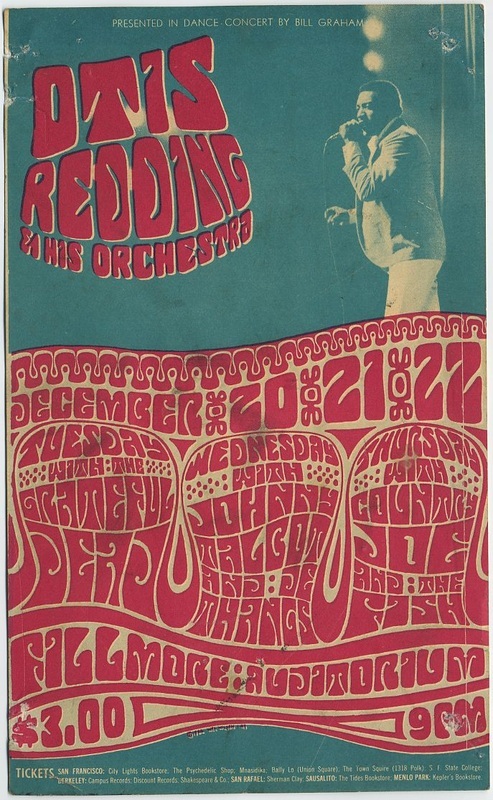 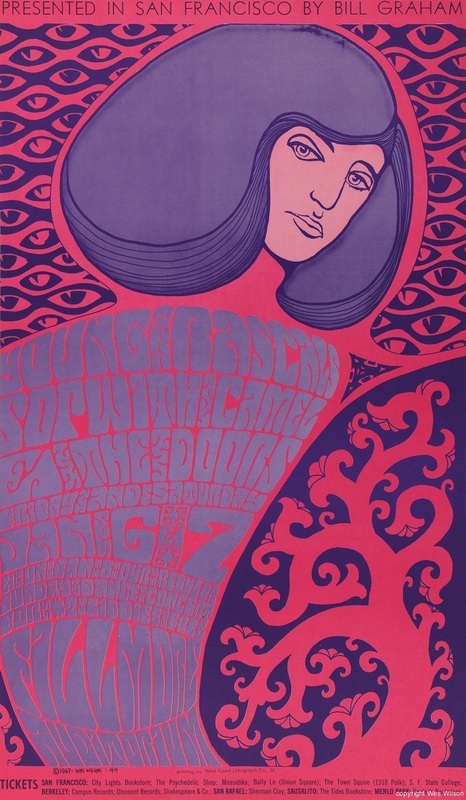 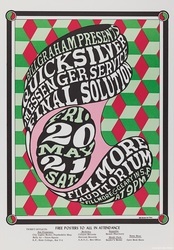 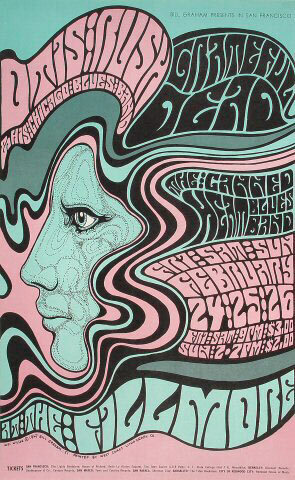 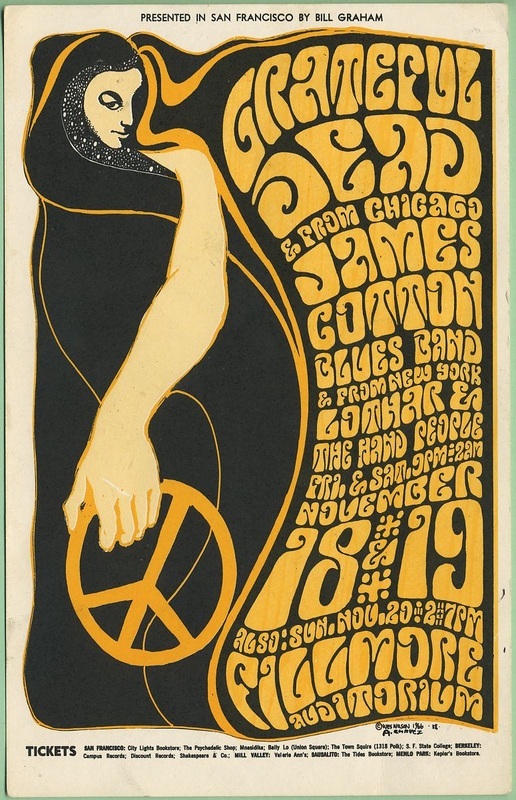 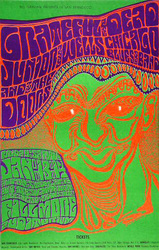 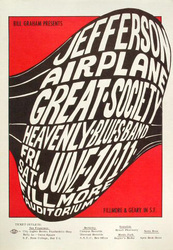 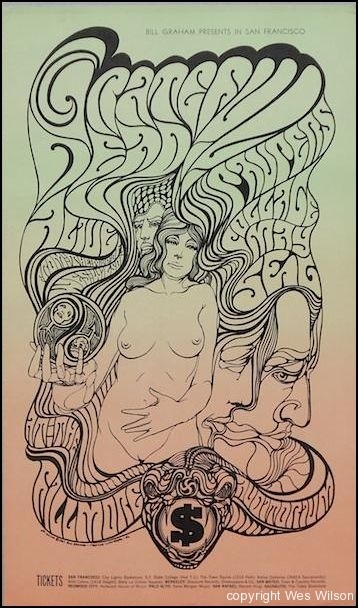 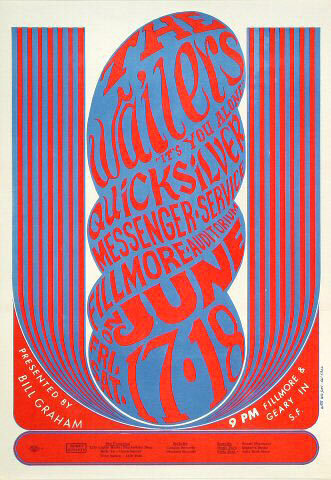 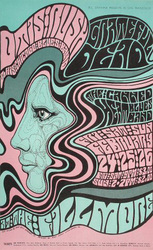 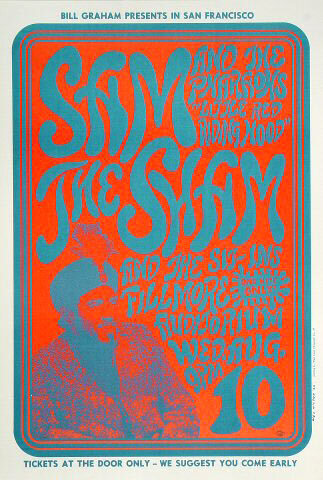 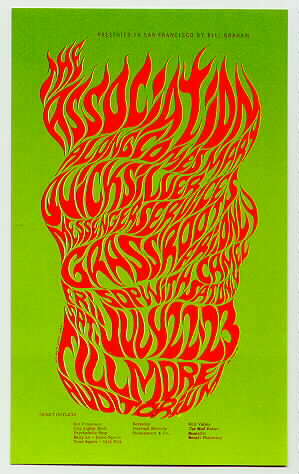 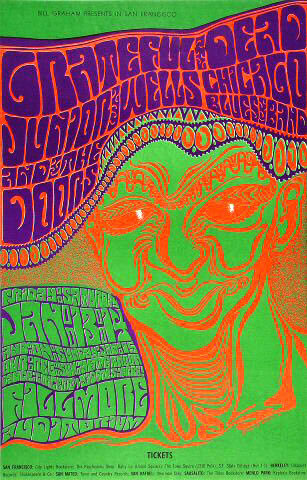 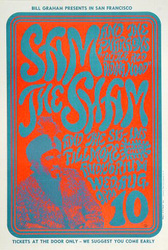 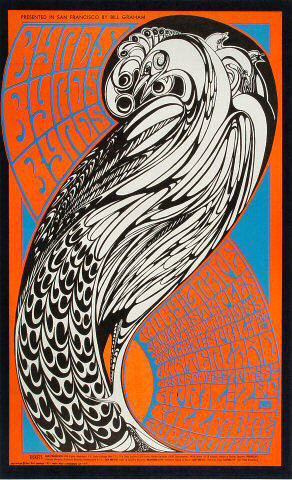 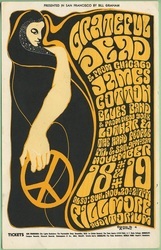 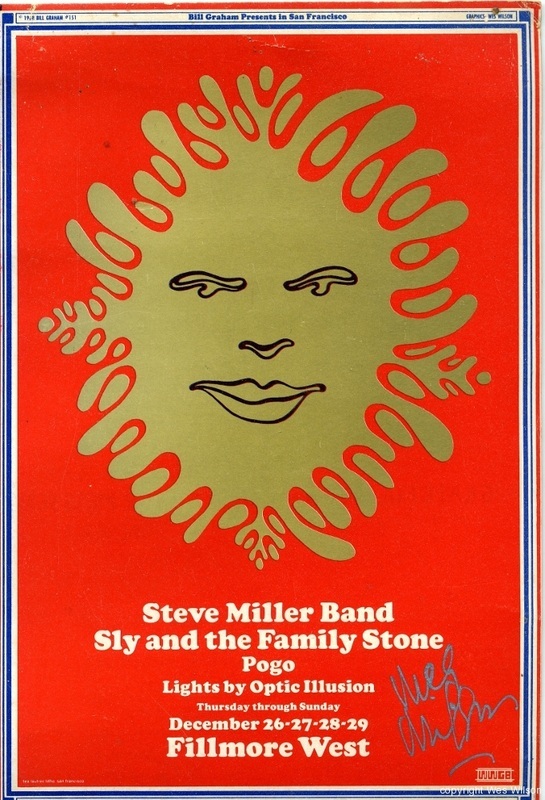 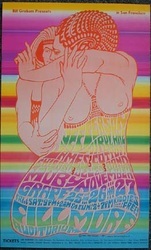 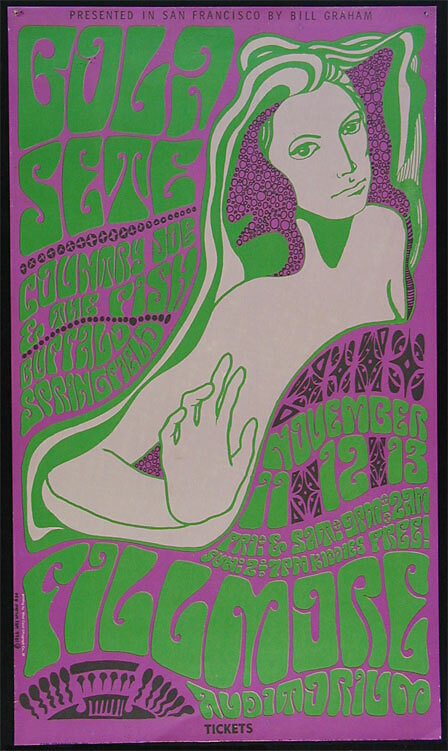 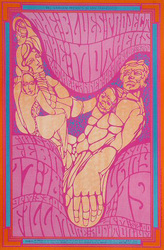 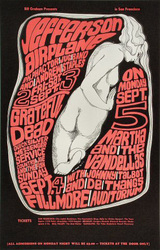 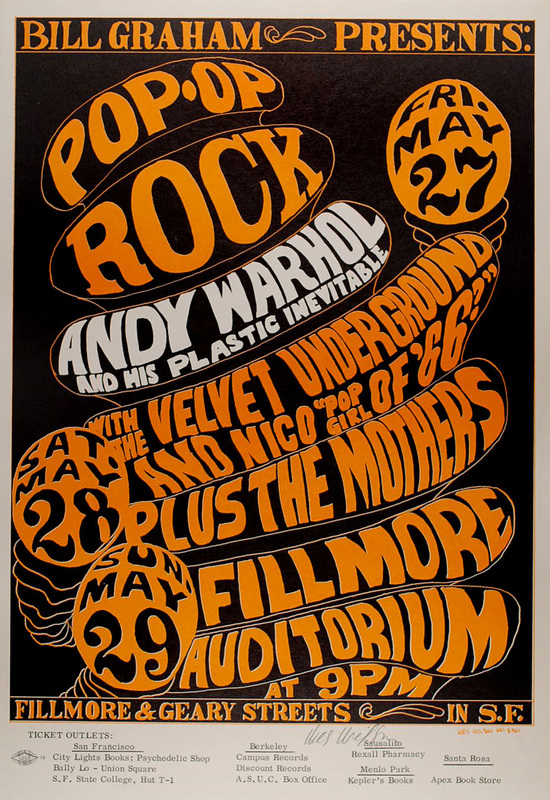 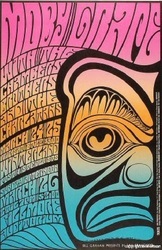 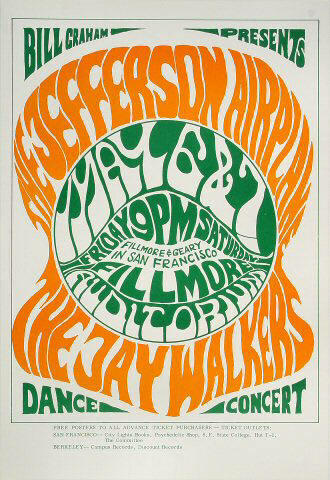 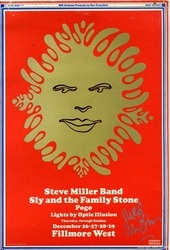 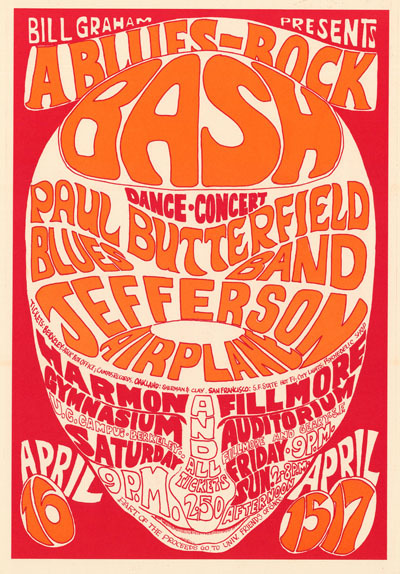 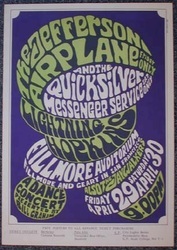 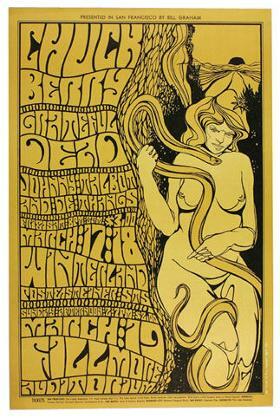 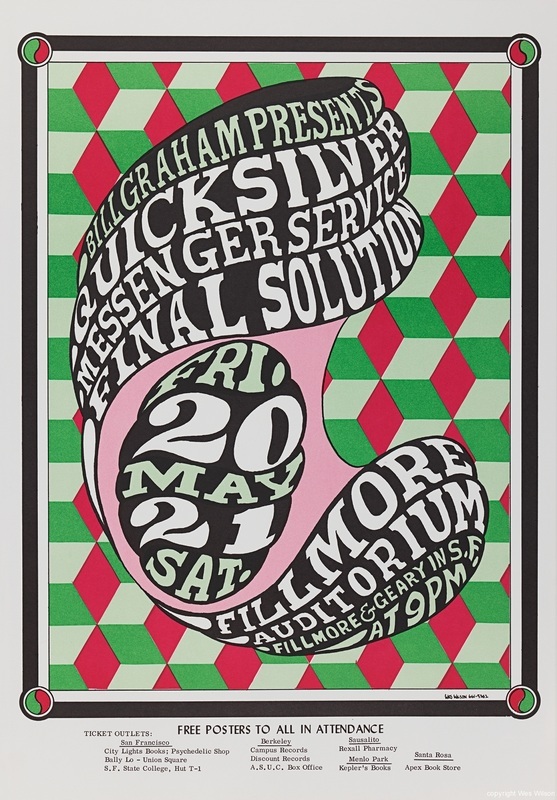 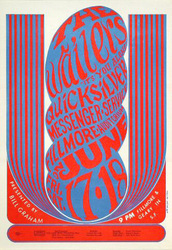 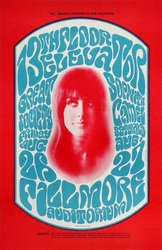 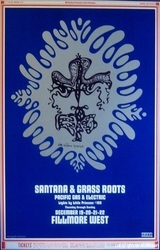 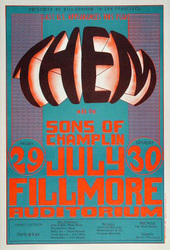 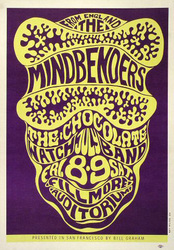 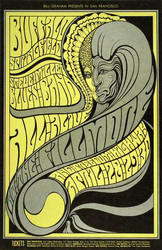 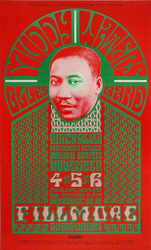 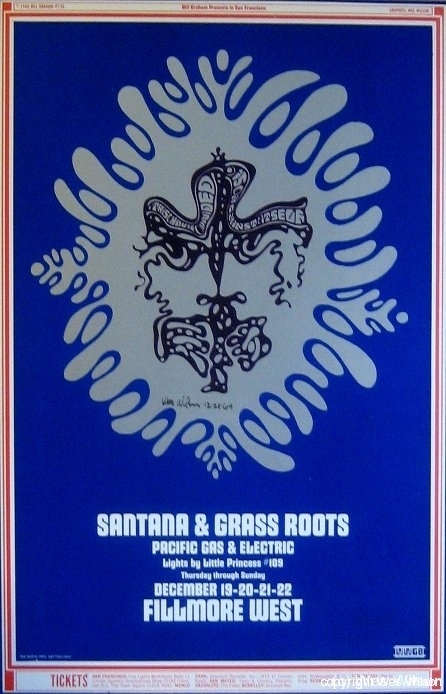 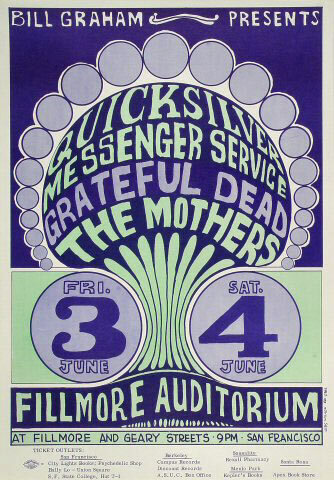 Bill Graham, concert promoter for the Fillmore Auditorium in San Francisco, commissioned the following concert posters from Wes Wilson between 1966 and 1968. Having recently married his second wife, Eva, this was an especially busy time for Wes. 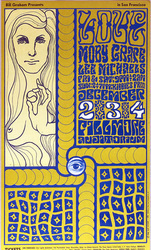 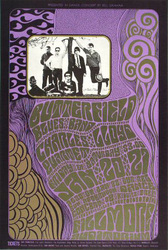 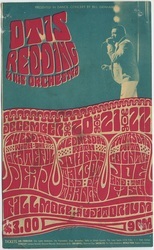 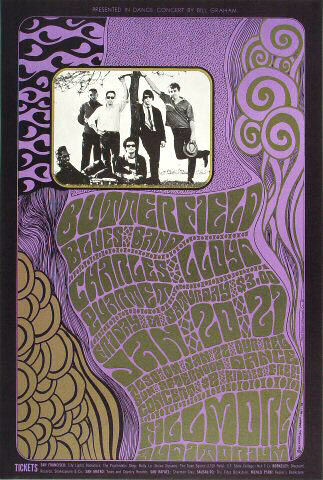 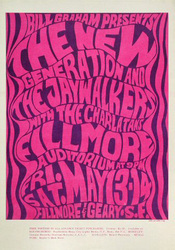 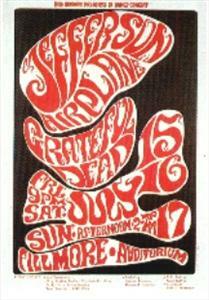 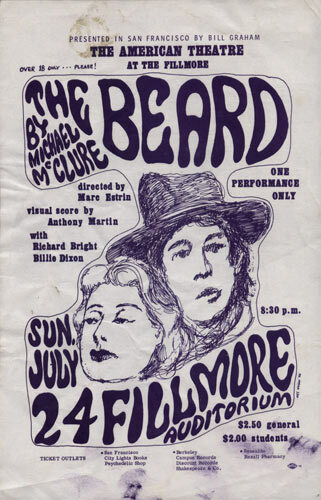 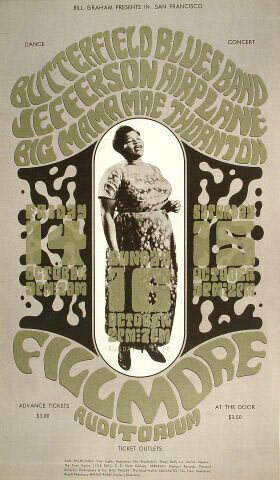 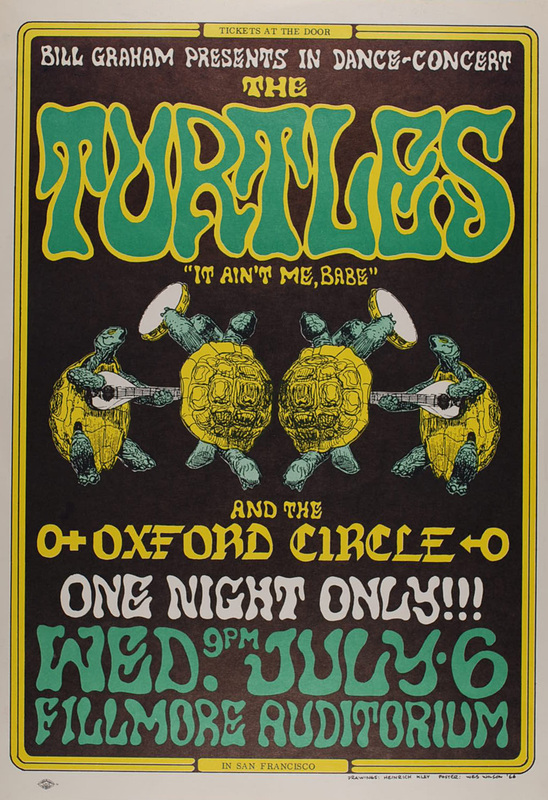 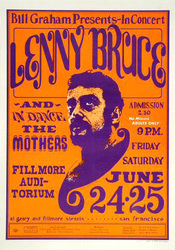 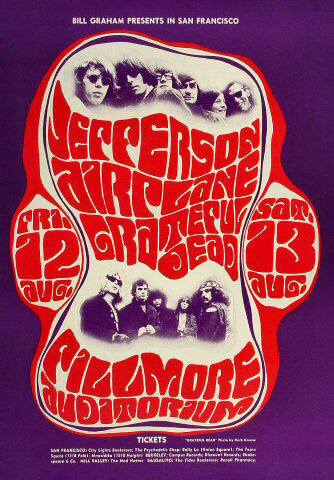 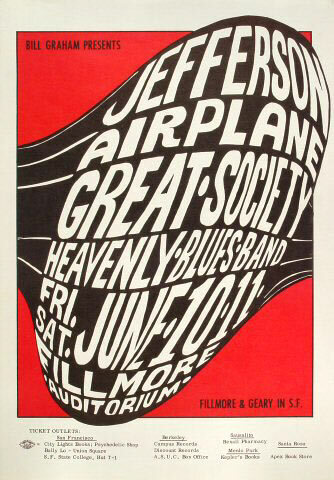 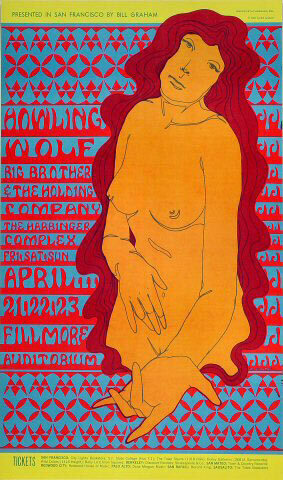 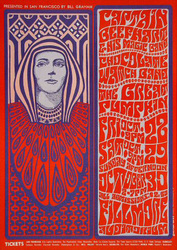 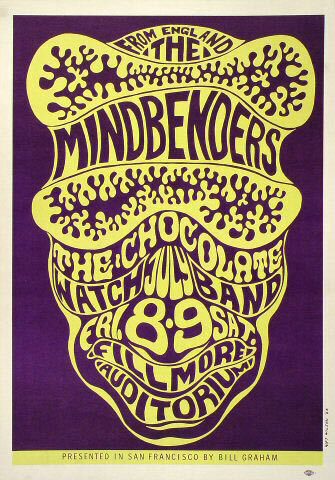 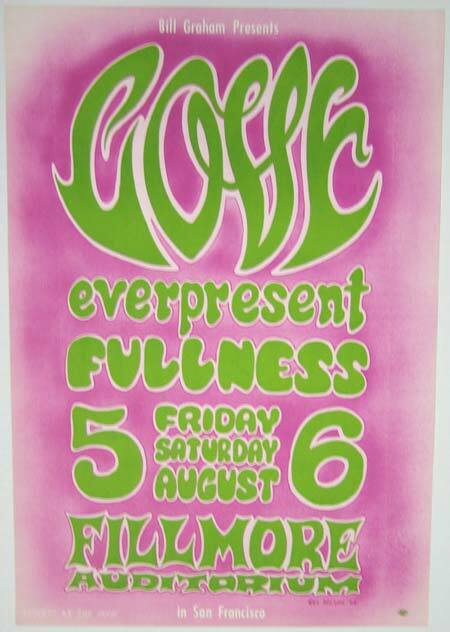 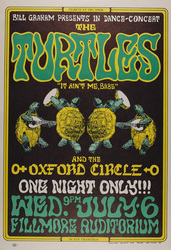 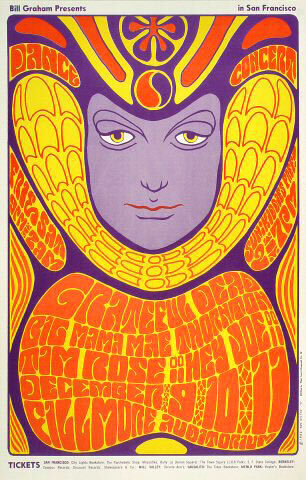 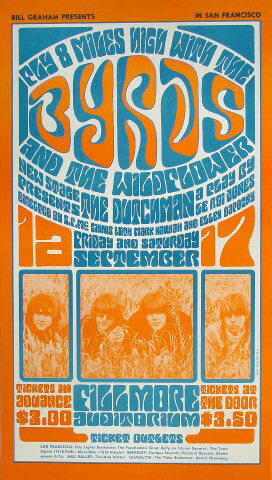 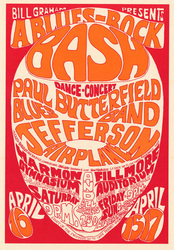 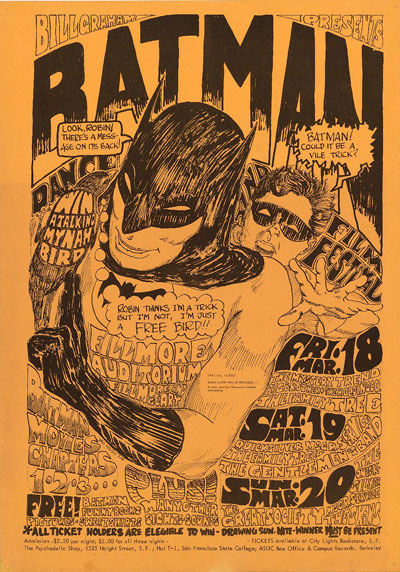 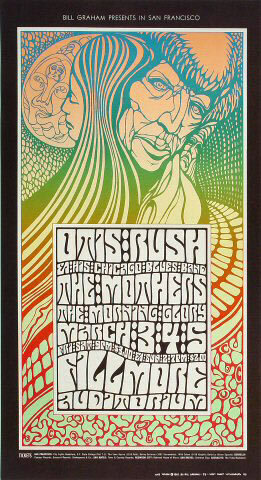 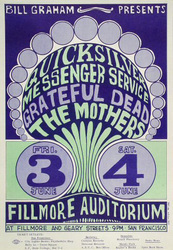 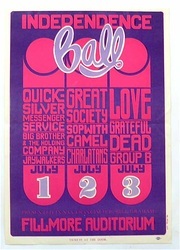 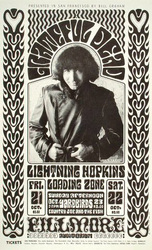 He completed 56 posters for Bill Graham in only 14 months, averaging one poster per week for the Fillmore. 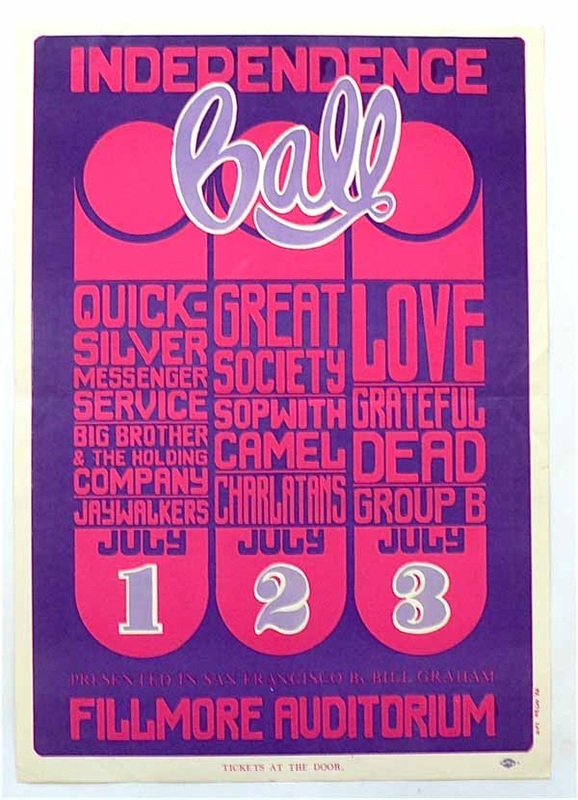 Wes and Eva's first son was born in August 1966 when Wes was supposed to be working on BG-24, which featured The Young Rascals and Quicksilver Messenger Service. 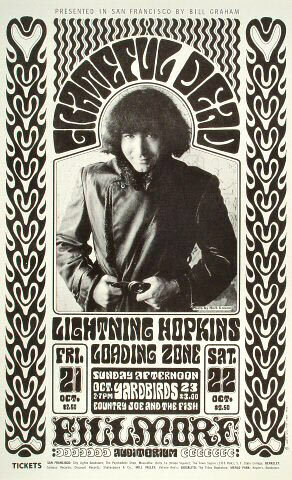 Needless to say, that poster was a few days late. 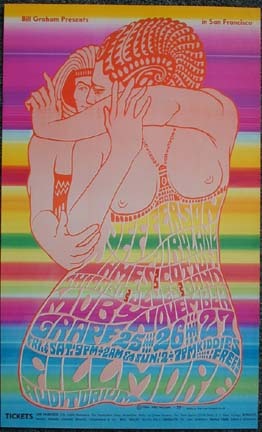 Ultimately, a financial dispute with Bill Graham put an end to their working relationship and Wes found other ways to flex his artistic muscles. 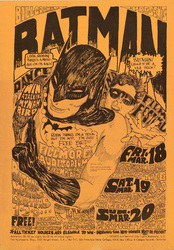 But there is no denying this formidable body of work and the influence it has had on generations of poster artists.